Present shopping for children can be a thankless task. It’s increasingly hard to know what to buy children, to find the ‘perfect toy’ and shopping can be a tiring chore, especially at Christmas time. That’s why for many people, the simple alternative gift is cash. It is estimated that parents, grandparents and aunts and uncles spend a staggering £2.4 billion in cash gifts at Christmas, birthdays and other important family occasions. This works out at a whopping £95 in cash, per child, each year. Giving cash as a gift isn’t particularly satisfying, especially if the child will simply use the money to pay for toys you could have bought in the first place. There is, however, an alternative. For example, if you pay the cash into a savings account or investment plan then your gift could really make a substantial different to that child’s future. 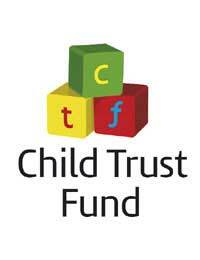 The simplest way to make a financial gift is through the government’s programme of Child Trust Funds (CTF). Every child born after September 2002 will have a CTF set up on their behalf. The Government will have made a one-off payment of up to £250 when the child was born and will be following this up with a top-up payment of the same amount when the child reaches the age of seven. Friends and family are entitled to pay up to a maximum of £1,200 into a CTF each tax year. Every penny of interest earned on the money within a CTF is tax free, and savings made over a number of years can turn into a rather tidy nest egg. For example, if you opt to pay a gift of £20 into an ETF each Christmas for 18 years, at a growth rate of 7% your gift will be worth £1,700 by the time the child turns 18: enough to pay for driving lessons and a deposit on their first car. Setting up a regular payment into a CTF is simple. You need to get permission from the child’s parents first, and then you can arrange payments over the phone or online. You will need the number of the child’s CTF and their bank account details, as well as your own. Of course, children born before the September 2002 cut-off for CTFs will not have one set up for them, but you can still put money into an investment account on their behalf. This option may be preferable if you would like the child to have the choice to withdraw money from the account before they reach 18. You should be mindful however, that cash accounts will not earn the same rate of interest on the savings as would be available within a CTF. This means that inflation could eat into the investment. A stockmarket investment, such as a unit trust or investment trust, might offer a better potential return, wrapped up within a tax-friendly ISA structure. Selecting the right investment for the child will naturally depend on a number of different factors, including the level of risk you are prepared to accept. Remember that stockmarket investments can go down as well as up. Whichever type of investment you choose, also bear in mind that the child will not be legally entitled to it until they turn 18. This means that either the child’s parents or you will have to manage the investment on their behalf until they turn 18 and you can designate the account to the child. Giving children savings as a gift may not be as exciting as money in their hand or a toy or game, but it could become far more valuable to them in the long term.